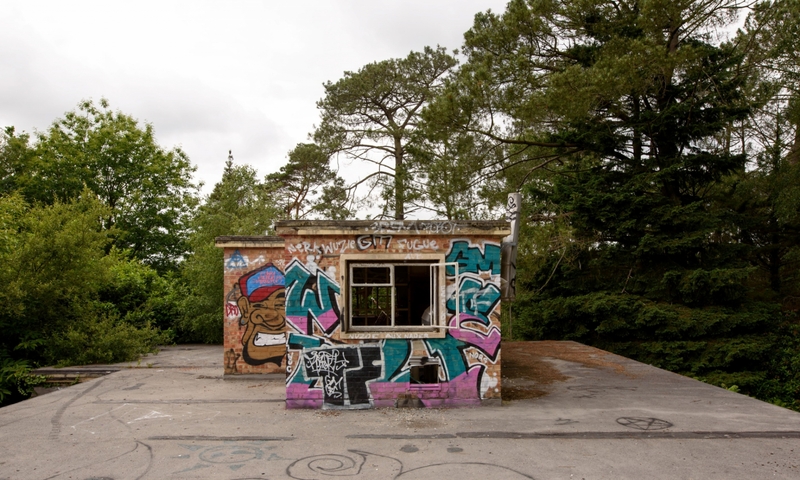 This bunker was the radio transceiver facility for the Kommando Luftstreitkräfte/Luftverteidigung (Kdo LSK/LV) which is the Air Force staff and Command, Control and Communications arm of the National Peoples Army (NVA). It is one of four similar installations in the territory of the former East Germany and consisted of a hardened bunker approximately 550m square that housed the transmitters. It also housed all the necessary infrastructure and plant to run the bunker and radio equipment. Provision was made for autonomic function with 2 x 270 kVa generators and a 19300 litre fuel tank. A borehole supplying freshwater was also installed, aswell as the standard air filtration equipment found in numerous other bunkers around the former East Germany. There is full decontamination facilities, a kitchen, ablutions, and associated technical rooms spread over 16 rooms on one level. On the surface there is standard NVA vehicle garages, barracks and guard rooms still visible on the surface. There are also remains of antenna footings in an adjacent field. The bunker was built in 1975 and became fully operational in 1977 and was designated Funksendeamt 2. It was operational until 1991 when the GDR was dissolved with re-unification of Germany, the bunker was cleared out by the Bundeswehr in 1993 and the land and buildings sold. The above ground areas now form a small industrial site and nursery which utilises the borehole in the bunker for its freshwater supply. The site is private property and casual visitors are not permitted, but visits can be arranged in advance.